This program is currently undergoing a revamp and updates. Applications will be put on hold until April/May 2019. The purpose of this program is to provide training – basic to advance – to those employed by the equine practitioner and those with an interest in the equine veterinary profession. It is designed for credentialed Veterinary Technicians, assistants, receptionists, office managers, support staff, AVMA veterinary technician students, or those pursuing a career in the equine veterinary profession. You do not have to be a credentialed equine veterinary technician to go through this program. Current AVMA accredited programs tend to focus very little on the academics, skills, resources, and training required for proficiency as an equine veterinary assistant or technician. Because these skills are needed by the equine practitioner and are essential for Assistants, Technicians and other Staff to master, the AAEVT has designed this certification program (hosted by ACT Technologies) for the equine veterinary community outside of the accredited AVMA programs. Those who complete the program will be recognized as an AAEVT Certified Equine Veterinary Technician or Assistant (AEVT/AEVA), depending on their current designation. 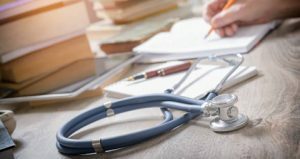 This certification is not offered in lieu of or intended to replace any certification, licensure or registration received by attending an AVMA accredited program and taking the VTNE and/or State Practical Exam Boards. While a State or an AVMA accredited program may accept some of these AAEVT courses as part of satisfying or adding to their program, this certification program will not satisfy any requirements required by the AVMA to take the Veterinary Technician National Exam Boards. By completing this program and accepting the certificate of completion offered by the AAEVT, any participant and graduate of the program agrees to follow any State and National State Board of Veterinary Medicine Rules and Regulations and Practice Acts. Applicant must be a current member of the AAEVT and in good standing. Participant must maintain their membership throughout the program. Participant must take ALL the courses offered through the certification program. You must successfully watch all of the videos, read/review all of the materials and assignments, and take all quizzes and exams. You must PASS all exams with a minimum score of 80% and an overall average grade of 85. You may retake an examination twice. If participant has already taken a similar course, a letter from their supervising DVM that they are proficient in this area must be submitted to the AAEVT ACT Administrator for review and consideration. Intended length of program is 6-9 months with time allowed to be able to attend an AAEVT CE event with a wet lab. Please print this list of required clinical skills. These are to be signed off by an equine DVM mentor (preferably an AAEP member) or a credentialed technician working in an equine veterinary practice. You may work towards getting proficient in these skills and getting them signed off at any time during the completion of the program. These are to be submitted to the AAEVT ACT Administrator when you have completed all of the skills. This form will need to be signed by an AAEVT Board member or assigned moderator present at an approved AAEVT CE/Wet lab event, where you will be evaluated in person on your horsemanship skills and your participation. You may need to budget in the costs of attending a meeting, travel, and taking time off work to attend this mandatory in person evaluation. Please check the AAEVT Events page for a list of approved CE events for this year. This sheet is to be signed and submitted to the AAEVT ACT Administrator. Published by Wiley Blackwell, this will be your textbook for the three courses. The retail price is $75.99 for the print book; however, AAEVT members can purchase the book using the code BP960 for $60.79 directly from Wiley Blackwell. Upon completion and verification of the above requirements, a certificate will be mailed to you. Certificate holders must obtain 5 hours of equine-focused continuing education each calendar year in order to keep their certification current and in good standing with the AAEVT. Approved CE sites and programs will be posted under the Events page on the AAEVT website or you can contact the AAEVT ACT Administrator for approval of an equine-focused scientific or practice management program. Verification of CE needs to be submitted to the AAEVT ACT Administrator by January 31st for the previous calendar year. 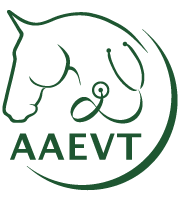 The AAEVT will certify participants as having completed the AAEVT Certified Equine Veterinary Technicians/Assistants (AEVT/AEVA) Program. This certification will be with the AAEVT only and will be recognized by the AAEP. This certificate does not qualify members as licensed, certified, registered, etc. by the various states, AVMA or NAVTA. Each Course is estimated to take 2-3 months to complete. Applicant must be a member of the AAEVT in good standing. Participant must maintain their membership throughout the program. Register or Renew with the AAEVT HERE. This program is currently undergoing a revamp. Applicant must be able to complete the program within 6-9 months. Each Course should be completed in ~2-3 months. The List of Required Clinical skills and attendance at an AAEVT CE event with a wet lab for in-person proficiency sign-off should be completed within one year of the initial program start date. We will extend this timeline to accommodate attending a CE Event with a Wet Lab upon request. Should there be circumstances that would require you to take longer than anticipated to complete the program, please communicate with the AAEVT ACT Administrator in a timely fashion. The fee for each individual course is $450.00. If you (or your employer) are able to prepay for all 3 courses, the fee is $1250.00 (a $100 savings!). Special discounts are available for Schools of Veterinary Technology and for Practices who wish to enroll multiple students/staff (3 or more). Contact the AAEVT ACT Administrator for more details. Is this a separate school? No, this is not a school, but an online program that offers a certificate of completion that is recognized by the AAEP. What if I am already enrolled in an AVMA veterinary technology program? You can take this program alongside your AVMA VT program – or online AVMA VT program. Self-paced mean you can start the program at any time but we ask that you complete it all within one year. You can contact Deborah Reeder for an extension if needed (contact email below). Will I get any credits for this program? YES – It is RACE approved for 20 hours. Is this the same as the AAEVT Academy?